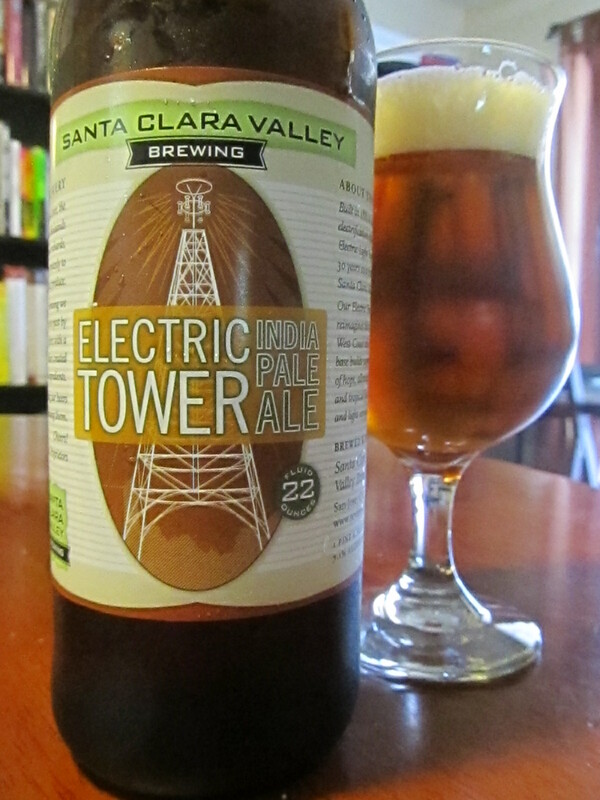 When I finally got a chance to try Electric Tower IPA from Santa Clara Valley Brewing, I was actually afraid to drink it. Sure, Brew Master Steve Donohue won four Great American Beer Festival medals at Sunnyvale’s Firehouse Grill before leaving to start Santa Clara Valley Brewing with Tom Clark so you figured it was going to be good. Plenty of people got pretty excited when they announced in March their licensing was complete and they were going to commence brewing, including myself. I even kept bugging Steve a few times on his Twitter account about when his first beer would come out. With all that build up, my biggest fear was that no beer could really live up to all these expectations and by the time I’d finally try it, it would be a let down. Yes, Santa Clara Valley Brewing delivers the goods and then some, meeting all the high expectations with their initial release. I could tell this was going to be a good just by opening the bottle. Wonderful aromas of pine and mango greeted my noise. Sipping the beer delivered more of the same, with its smooth and flavorful tropical mango, pineapple and resin-like pine flavors. There’s a solid, lightly toasty malt foundation to this fairly dry beer as well, but as with any good West Coast IPA, the hops are doing all the talking. So what’s this Electric Tower all about anyway? 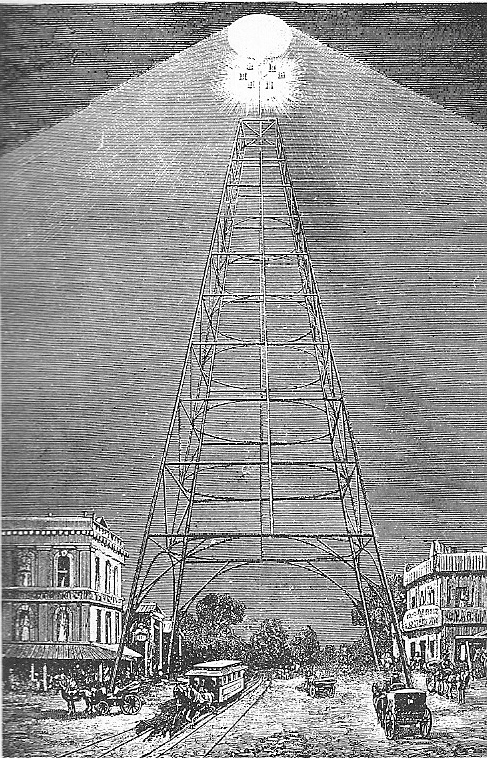 Back in 1881, a large electric tower was erected in San Jose, used for lighting up the city. These were common in America cities in the late 1800’s, often called Moonlight Towers, as electrification began to sweep the country. San Jose’s tower was one of the largest ones of this era. You might say it was the earliest example of Silicon’s Valley technical prowess. Electric Tower IPA: Another reason it’s good to live in the South Bay.